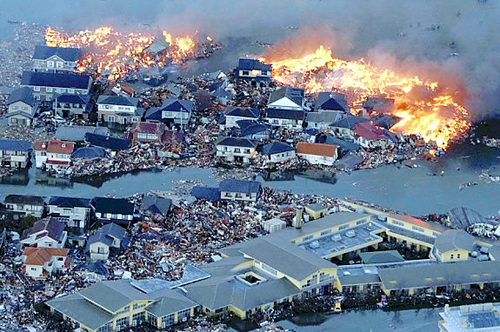 Around 3:00 pm, March 11, 2011, Magnitude 9.0 earthquake occurred off the east coast of Honshu Island, spreading fear, chaos and damage across Japan. After five to thirty minutes, the massive tsunami arrived at the coast with massive amounts of rushing seawater reaching kilometers inland. Now damage to several Nuclear Power plants from Japans largest recorded earthquake and Tsunami is threatening and hampering rescue and rebuilding efforts. The affected areas are still desperate and rescue operations continue while the international rescue team starts their assistance operations. We really appreciate all support, and as rescue efforts ebb in the coming days, there are more challenges lying ahead. Please help the victims of this HUGE tragedy!